As a co-founder of Pacia life and developer of the Tatori Method, Lara is an experienced leader and life coach who stands passionately for young adults and their most authentic, vibrant and fulfilling life, one in which they are not only realizing their dreams but savoring the journey along the way. Lara calls young adults to be the artist of their life, intentionally creating exactly what they want – a life to love! Being a part of the Life coaching process with young adults fulfills Lara’s purpose – to help youth become empowered in their lives, to see their own radiance and hear their own inner guidance. As a business executive, Lara is often referred to as the 'mom' of Pacia Life. Her love for others and passions to see others succeed is contagious. Like most mom's, she has an ability to love and make you clean your room at the same time. Lara brings previous expertise from the real estate, finance, and behavioral health industries, designing and delivering successful programs in management development, team building, communications, and customer service. 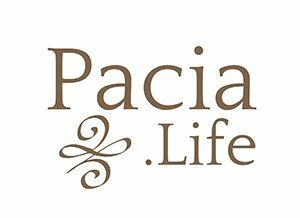 Her past work has provided the perfect foundation for meeting the strategic needs of Pacia Life. Lara and Randy reside in Utah with their family. She enjoys many activities including skiing, road biking, hiking, outdoor music concerts, back yard BBQ's, event planning, travel and most of all, spending quiet nights at home with her family.